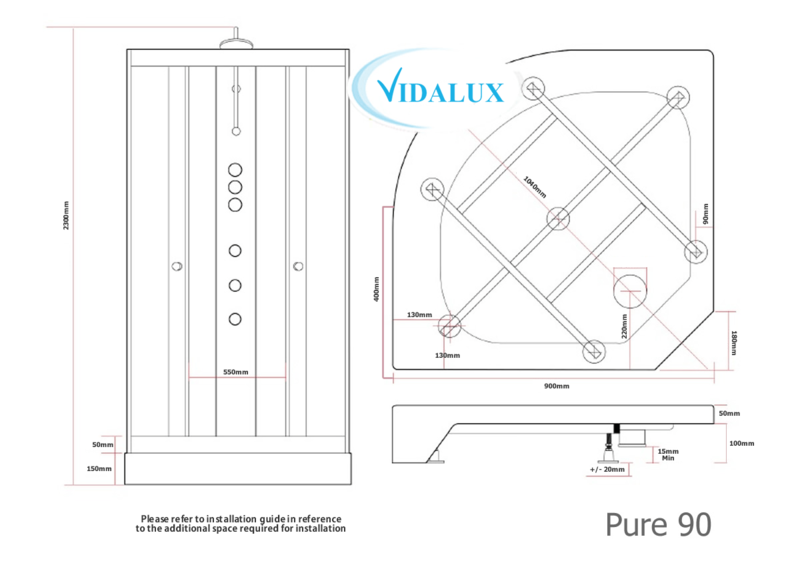 From Vidalux, this Pure 900 corner shower enclosure , is elegant in both it's design and simplicity. When replacing an existing shower, the Pure models are designed to offer a quick and money saving solution. 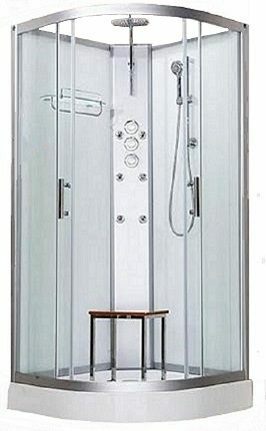 Easy to assemble and connect, this 900mm x 900mm self-contained shower unit will also cover up any old tiles or mess behind because the solid interior back panels are non-see through. With a useful hand shower on a riser rail, the large overhead monsoon shower, offers an invigorating showering experience and the back massage jets provide welcome relief to aching muscles and backs. Compliment this shower with either a freestanding stool or flip down seat. **This item comes with a 3 Year Parts Warranty. 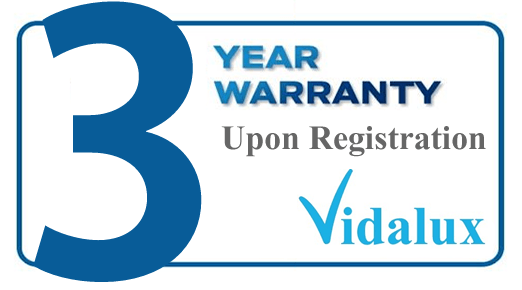 Please note that customers need to Register the guarantee with Vidalux otherwise a standard 12 month parts guarantee will apply. Important: Free Delivery is available on MOST shower cabins, steam showers and whirlpool bath showers and this will be clearly stated on the product page. However some lower priced units do have a nominal delivery charge.....typically £9.95 and again, this will be clearly marked on the product page. Note that the same time scales and excluded Post Code exceptions shown below, will also apply to the £9.95 delivery offers. *Please see the £9.95 delivery excluded Post Codes, NI & all other Islands delivery information in the Delivery Info tabs section above, before placing your order. To Purchase: Please select your Delivery option from the drop down menu below and then click the Add To Cart button. Add comfort to your showering experience with this smart wood and chrome stool which can be positioned anywhere inside the shower, or outside when not is use. Price: £44.99 - Order only if buying a shower. This handy flip down seat can be retro fitted to the central control tower just below the back jets. Seat folds down to use & flips up for when not required. Fitting instructions included. Price: £39.99 - Order only if buying a shower.